How effective will Gates be in his new tech advisor role? In his first public comments since being named chief executive Tuesday morning, Microsoft chief executive Satya Nadella promised a “mobile first, cloud first” strategy that will carry over the “devices and services” strategy of outgoing chief executive Steve Ballmer. 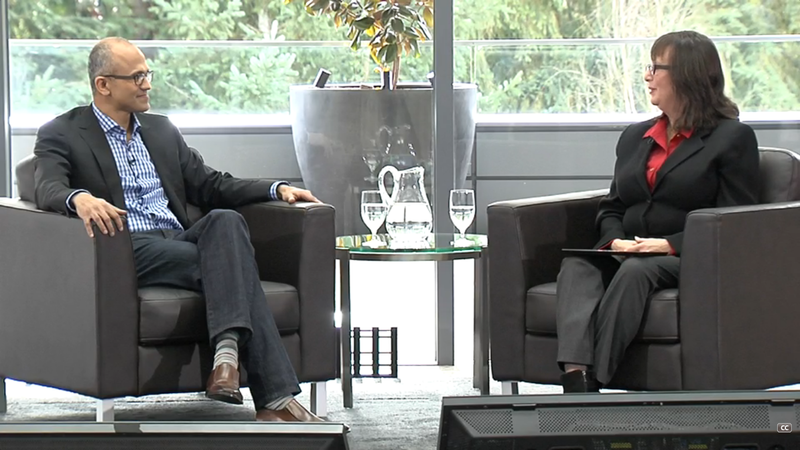 Nadella, in a question-and-answer session with Susan Hauser, who leads Microsoft's enterprise sales team, mainly recapped his earlier letter to employees. 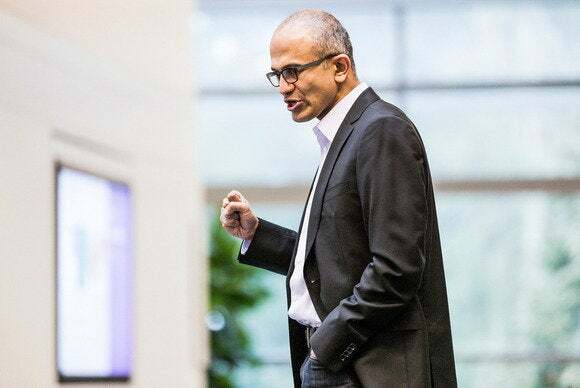 However, Nadella also laid out his priorities—learning the entirety of Microsoft’s business, while talking to customers, partners, and investors—while talking rather conservatively about how he plans to move Microsoft’s business forward. About the only concrete change Nadella discussed was the extension of a program that has already begun: blending the Microsoft’s communications, productivity and social software and services together into a more cohesive whole across the personal and business spaces. Microsoft began last year to integrate Skype across its businesses, and to bring Yammer, Lync, SharePoint, and Skype closer together, part of a strategy memo that Ballmer penned. Satya Nadella spoke to Susan Hauser, who runs enterprise sales for Microsoft, in his first public Webcast after being named chief executive. As many suspected, Nadella’s vision appears to be an extension of Ballmer’s, but with Nadella’s own strengths in data and services guiding Microsoft forward. “We have sort of talked about how our strategy going forward is about devices and services,” Nadella told Hauser and the Webcast audience. “And I’ve said this in my email: This business of ours is exciting, because we don’t really respect tradition and what we’ve done in the past; it’s really about innovation, and looking forward. And for us what is going to define Microsoft going forward is a mobile first, cloud first world. And all of this will be mediated by software, the “most malleable thing” that will define the intelligence of those devices, Nadella said. 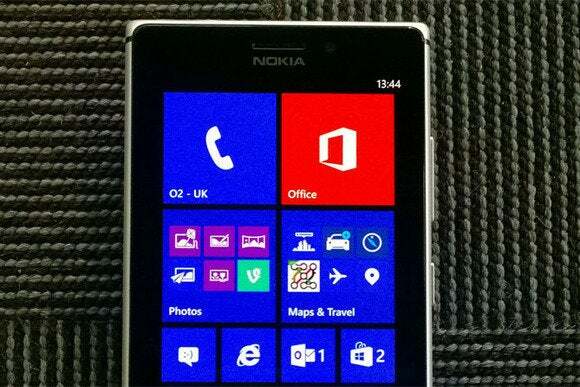 Mobile phones are part of the "mobile first" strategy, but just part. Nadella emphasized the "mobile first, cloud first," phrasing on a couple of different occasions. Presumably, it's his own spin on personal devices connected to the cloud—another way of phrasing "devices and services." So how will it all work? Mobile phones will be owned by consumers, but managed by the companies they work for, Nadella said—and Microsoft will provide both those sets of tools. “One of the things when we think about product innovation is that we don’t compartmentalize about consumer and business,” he said. Although Nadella emphasized Microsoft’s traditional strengths in software, he said nothing about divesting the company of products like the Xbox and Nokia: “Devices are where those experiences come together,” he said. As for the PC? The PC ecosystem is “one of the broadest, most open ecosystems there ever was,” Nadella said. Still, Nadella left the room with several questions unanswered—and he didn’t take any from the audience, period. Many of those issues, such as the evolution of Windows, Windows Phone, and the ecosystem that ties them together may have to wait while Nadella ramps up on the less-familiar parts of the business. But Nadella didn’t even mention Bill Gates, who stepped down from his role of chairman apparently to mentor Nadella through the transition period. In all, Nadella successfully projected the image of an enthusiastic, engaged executive—but one who won't change the world overnight.